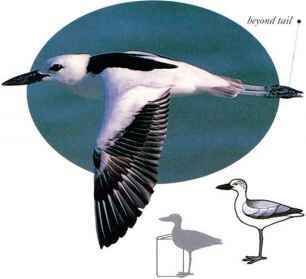 Occurring on sandy seashores or tidal flats, this species feeds like a plover, running and making sudden jabs to catch prey on the ground. It eats crabs, cracking their shells with its powerful bill. Crab Plovers are seen in low, slow lliglu. They often feed in groups anil roost in large flocks on the shore. • NEST A burrow in sand, 6 ft (1.5 m) or more in length. Nests are packed closely together in colonies, located on sandy islands or dunes. • DISTRIBUTION Coastline of Indian Ocean, Red Sea, and Persian Gulf. 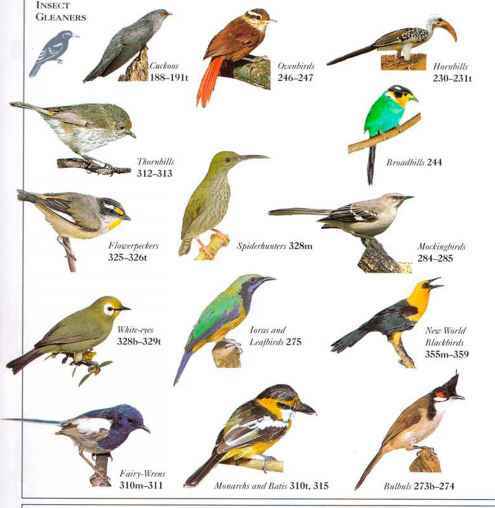 Some birds winter as far south as Madagascar and Malay Peninsula. • Remark Of all the shorebirds (220 species), this is the only one that distribution nests in a burrow.